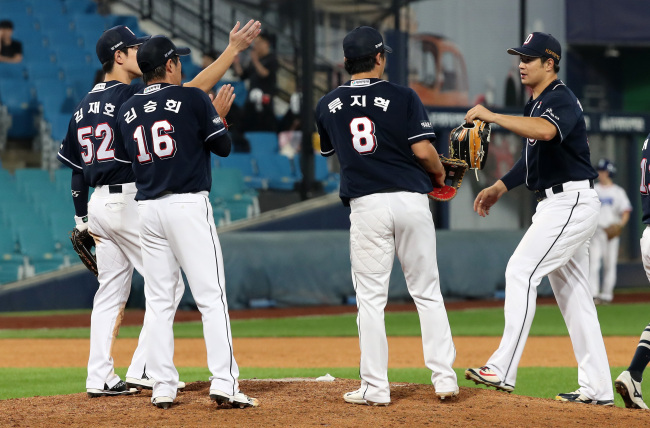 South Korea's top pro baseball league on Tuesday set an annual salary cap of $1 million on new foreign players. The Korea Baseball Organization (KBO) said it established the hard cap to curb teams' spending on imports and to ensure fair competition. The figure includes wages, incentives, signing bonuses and transfer fees. The KBO said the rule only applies to new foreign players and that there's no cap when a club wants to re-sign a player whose rights are already reserved by the club. But if a club wants to re-sign a player who has been released, the new salary cap rule will apply, according to the KBO. If a player joins a club in the middle of the season, the cap will be calculated based on remaining months of the season. The KBO said that the clubs are not also allowed to sign new foreign players to multiyear contracts, adding that such deals can only be offered to players who are re-signing with their original clubs. The KBO said rule violations will result in contract nullification and the suspension of the player for one year. In addition, the club will lose its first-round pick for the following year and will be slapped with a 1 billion won ($887,000) fine. Among other changes, KBO clubs will now be required to select at least one collegiate player in annual drafts starting in 2019. The KBO will also start penalizing players for sexual misconduct, with punishments including a fine of at least 10 million won, a 72-game suspension and a lifetime ban.